Q: Who promoted Italian food before Jamie Oliver? A: Renato Guttuso! We are all used to buying imported and exotic foods in our local supermarket these days, and seeing Jamie Oliver on TV wagging spaghetti about and telling us to grow “some lavly fresh basil” on our windowsills. Jamie has become the global marketing manager for Italian food these days. But how would you market a book of Italian cookery in a country where basic foods were on ration, you had to get pasta by mail order, and you could only buy olive oil in the pharmacy? Global publisher Macmillan did it by asking Renato Guttuso, Italy’s most famous living artist in the 1950’s, to do the illustrations. And thus a ground-breaking cookery book, the first book of Italian cookery in the English language, revolutionised the English and American palate: Italian Food by Elizabeth David. In the 1950’s, Renato Guttuso was living in Rome and expressing his sensuality in paintings of women, wine and food. One of his most famous works, of the Vucciria market in Palermo, is an extravagance of brightly-coloured foods and voluptuous women (three of whom were his mistress, painted from different angles wearing the colours of the Italian flag). A casual observer might think food was easy to come by and taken for granted, but in fact the opposite was the case. The Italians had suffered severe food shortages during the Second World War, and a great many of them died of starvation or suffered lifelong illnesses and stunted growth as a result of malnutrition in childhood. In the fifties, Italians still had to spend a very considerable proportion of their income on paying for food, far more than the average English housewife. Yet they refused to compromise on quality or flavour. What little they ate had to taste fantastic. Meanwhile, in 1950’s Britain, lots of foods were still on ration, too. Courageous women throughout the country were trying to feed their families on powdered egg which rehydrated into a slurry of mucus, and strawberry jam which was actually made of carrots. The British approach to food shortages and privation was the typical protestant one: you don’t have to like this food, you just have to eat it. In Britain at this time, tomatoes were an exotic vegetable – any imported vegetable was exotic – and olive oil could only be obtained from pharmacies, in a tiny 5ml bottle with “for external use only” printed on the label. People used to warm it and put a drop in their ears to treat earache; I remember my grandmother doing this to me when I was a child. Pasta and even rice could only be found in specialist shops in the larger cities. Coffee was exotic, and only available in specialist coffee bars, most of which had opened only to keep the American GI’s happy. To prepare an Italian meal, British women would have to make a journey to London and stock up on the staples found in any Italian kitchen. It was in this setting that Macmillan made the bold decision to publish the first book of Italian cookery in the English language. 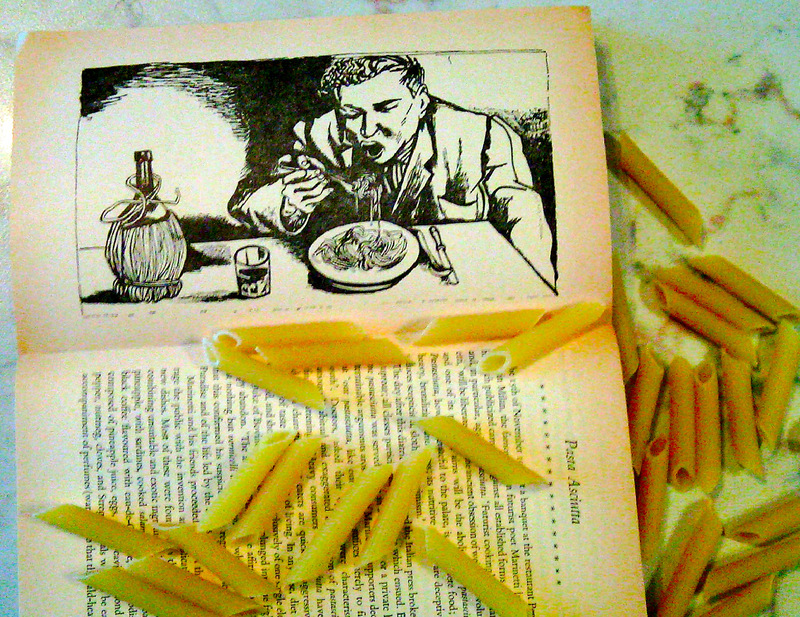 Italian Food by Elizabeth David came out in 1954. 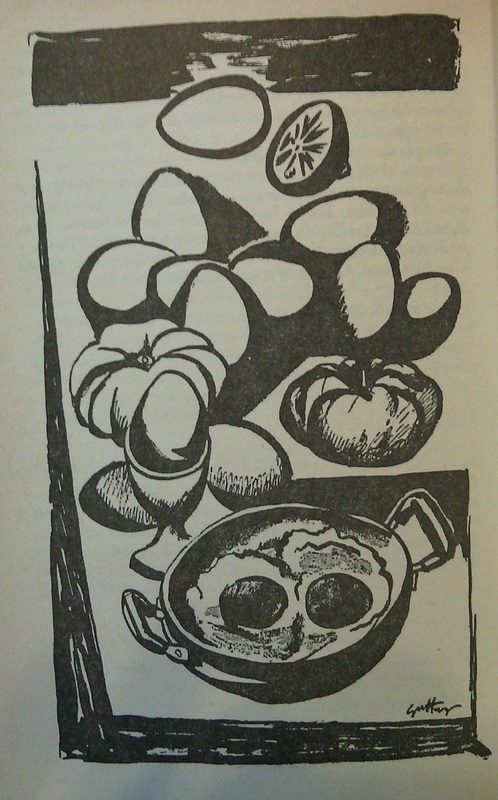 The publishers had the ingenious marketing idea of commissioning a series of illustrations and a cover design by Renato Guttuso, one of Italy’s most famous living artists at the time. “Here were no sentimental decorations… Here was a well-worn cheap aluminium tegamino, the double-handled egg dish so beloved of Italian cooks, every dent and defect implied. 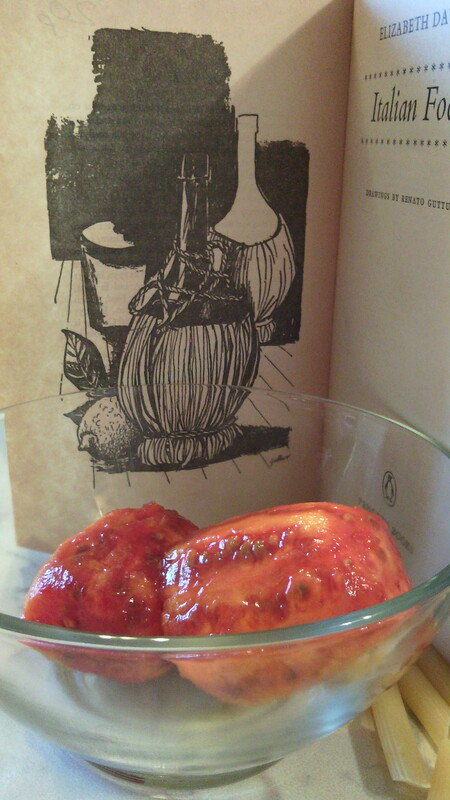 I chose to buy this book because of its illustrations, and my edition is the Penguin edition reprint (the Macmillan first edition is very hard to come by) yet my own greatest surprise was to find the same potent reality in the recipes and the text. Elizabeth David has a way with words as evocative as George Orwell, and her recipes are not only faithful to the Italians in the detail, but in the selection. 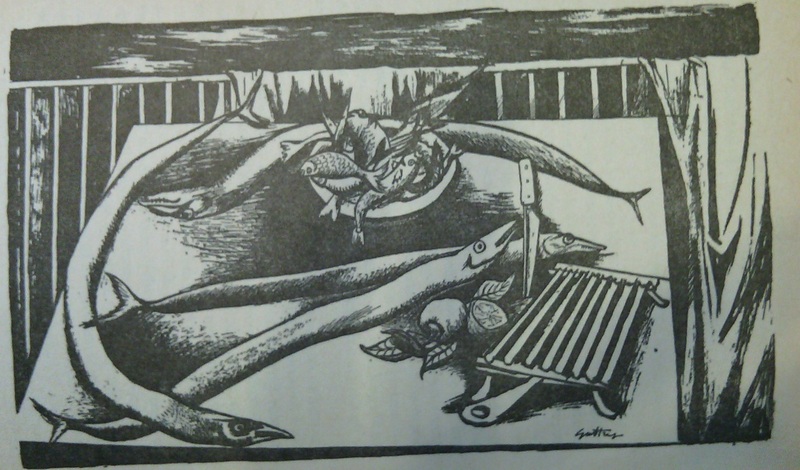 She includes, for example, instructions on how to cook song birds on a spit and how to stew cuttlefish and squid. Never mind that no housewife in Britain would be able to cook these dishes. They could drool and dream. The Renato Guttuso Museum in Bagheria has just been closed down. I made a lot of fuss locally about the spectacular amounts of money it wastes. The town mayor went personally to investigate, and found the ledger of all the art works was written VERY lightly in pencil, and that sculptures and paintings were missing. Locals tell me that the museum director has a stunning art gallery inside her own home! The mayor closed the place down while the police investigate. I hope the museum will re-open with a few more paintings and sculptures in it. So sad to hear the museum closed down, it was a place I’d like to visit but never could get any information about it and it sounds like it was being mismanaged. 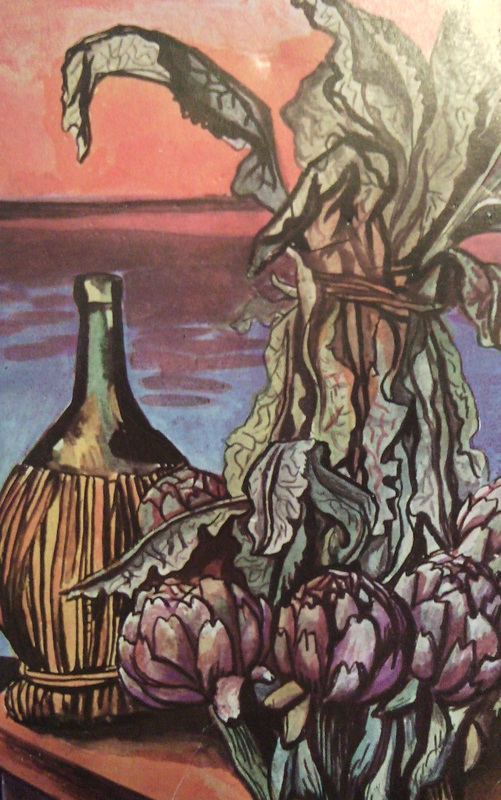 I love Guttuso and it seems he was a prolific illustrator, my copy of Vittorini’s Conversations in Sicily is filled with his images. Thanks yet again for a beautiful post! They say they will definitely reopen it, but only once they have resolved the problems and got competent management in place. So terribly sad, but maybe it’s a good thing. Maybe in the end it will re-open and in better condition. I congratulate you on calling attention to the problem and the mayor for taking action. Can I come on your guided tour, too? I’d be delighted to have you on my guided tour! I am really crossing my fingers that this closure will be a good thing. The museum has so much amazing potential, if only it had an honest/non criminal director. I also love her comments about how to hang game by the head and how you’re not allowed to eat it till it’s so “high” (which means rotten) the body drops on the floor. Yes really. It’s a wonder the British population survived. Cant believe that Italian food was considered so non-distinct, whereas now it has some of the most easily identifiable staples, even if some are faux-Italian / Italian-American! The more I researched this article the more amazed I became. I find it almost impossible to imagine. How could people not even know? I have a cookbook called Elizabeth David on Vegetables. It’s wonderful! Full of history and stories as well as practical culinary advice. Just published to celebrate the centenary of her birth. Oh, I’ve never even heard of that one. As you say, her books aren’t just instructions on how to cook, are they? You get insight into a whole culture as well, and so beautifully written. It’s good to know that something is being done about the corruption. I just hope you don’t make new enemies that way. Last Saturday, I drove past the museum on the way to a restaurant with my girlfriend’s family. When one exclaimed that it was a beautiful building, I asked them if they knew what it was. None of them knew that it was a museum even though they’ve all be living here most of there lives. I don’t blame them though as it’s only to be seen if you look closely at the poorly legible faded brown flags in front of the museum. Yes indeed, so true. I think anyone who tries to do things right round here ends up making some enemies. But they make friends too. I’m not afraid of being hated by a few thieves, to be honest. Wonderful post, Veronica. Thank you for informing me of the very real plight of Italians during and post WW2…food shortages, starvation, death and longer term health issues. I didn’t know of this. 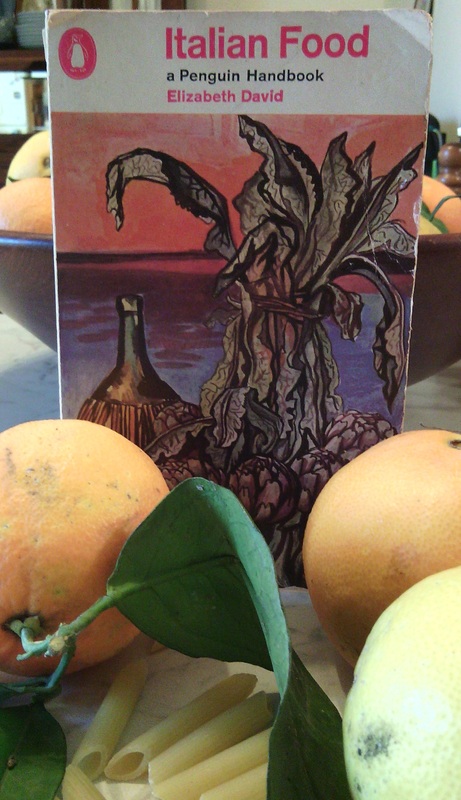 My favourite reads are about food, not recipes so much as food, culture, ambiance. 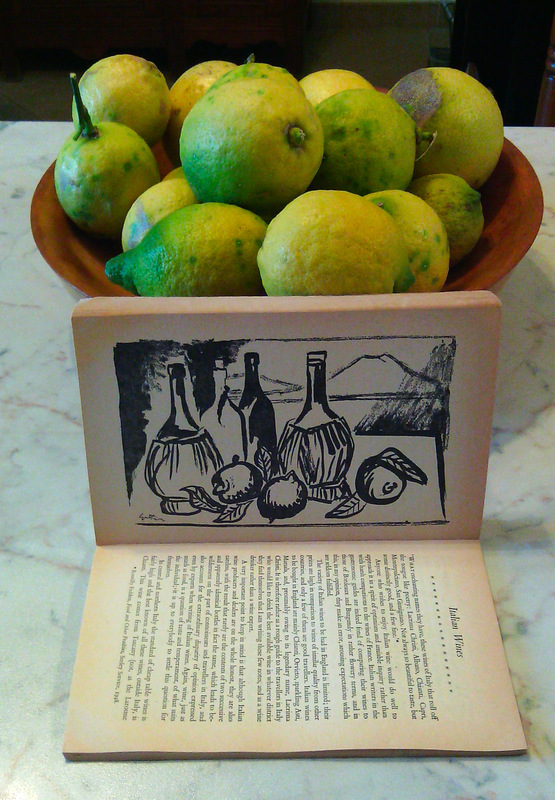 I had a wonderful biography on Elizabeth David that I passed on, and kept South Wind in the Kitchen: The Best of Elizabeth David featuring illustrations by Guttuso and others. A gem. It was my sister who first told me about these privations – she studied Italian history at uni. This is apparently the reason the older generation of Italians are so short: their grandchildren literally tower over them. 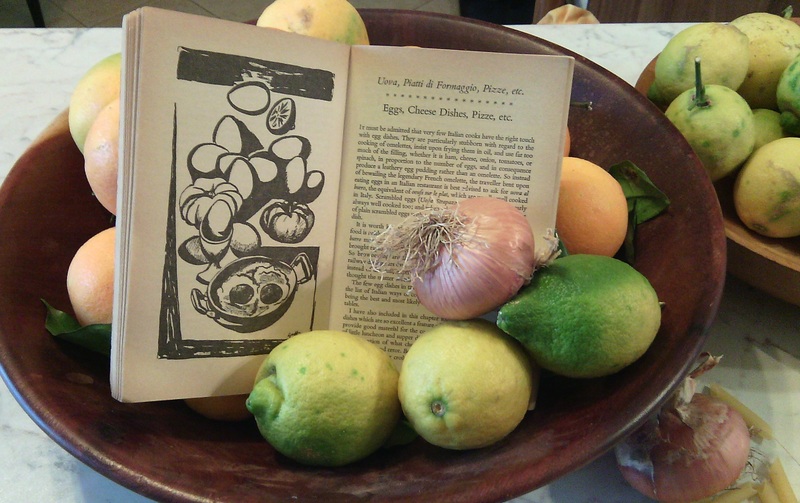 I bought the Elizabeth David book in the early sixties…it is in tatters by now….but it woke an undying interest in food and the cultures underlying it. I suspect mine may end up in tatters one day – it’s the kind of book you just keep dipping into again and again. I enjoyed your post very much as a matter of fact I look forward to receiving all of them. I lived in Sicily for about three years when I was young and could never understand why the museums and historical buildings are poorly maintained in Sicily. That makes me sad to see. 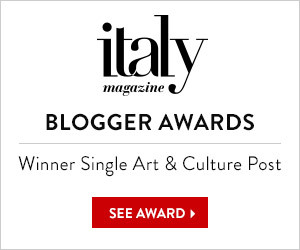 It’s such a pity that so many museums in Sicily – in all of Italy actually. are run by people who are incompetent or, more often, corrupt. There are some wonderful exceptions though. The archaeology museum in Siracusa with the coin vault that I wrote about a few weeks ago is a just fantastic, and a real example of what the other museums here should be like. I hope they will be, one day soon! Veronica, I always enjoy reading your posts and this one is no exception. I was in Tuscany earlier this year and noticed that Italians might cook with olive oil but they don’t dip their bread in it as they do in Italian restaurants in the U.S. Have Americans screwed up again? Also, I recently finished reading Nassim NicholasTaleb’s latest book,’Antifragile:Things That Gain From Disorder’. In it he rather ridiculously claims that he will only eat foods that are at least a 1,000 years old to ensure that he is well adapted to them. He dismisses olive oil because he can find no Greek or Roman references to ingesting olive oil as opposed to applying it externally to the skin. This surprised me because I had always thought of olive oil as an ancient and important part of the Mediterranean diet. So I think maybe they do have oil and bread in some parts of Italy, but regard it as akin to dipping biscuits in a mug a tea. Do Americans do that? English people do, but generally won’t admit it in public!!! Well, you were right and Mr. Taleb is wrong. Olive oil was indeed an indispensable staple in the ancient Italian diet, and indeed throughout the Mediterranean. Turnips. Squeeze the liquid out of the boiled turnips. Then grind a goodly quantity of cumin, less of rue, Parthian laser, honey, vinegar, stock, boiled wine, and a little olive oil. Heat and serve. (Apicius Book 3, XIII-1). Boil the turnips until almost cooked (it’s usually worth changing the water half-way through, to avoid bitterness). Drain turnips. Heat other ingredients in a pan and add the drained turnips. Heat through and serve. Parboil and drain parsnips. Heat stock, oil and cumin and add parsnips. Add chopped fresh herbs and heat through before serving. Yes I did wonder about that too. The Romans used to make all kinds of scary sounding sauces like fish sauce (called garum), oyster sauce and other intense vineagary things – they clearly desired ketchup and lacked the tomatoes for it!!! Much enjoyed this post, and have just finished a book called ‘Midnight in Sicily’ by Peter Robb, where Guttuso features quite a lot.Its a good read though a bit grim with regard to crime and politics which do seem to be linked. The only thing I take issue with in the post is that the British did not know what a tomato was, my grandad grew them many years ago and the smell of them in his greenhouse was one of my earliest memories. Peppers were unknown though! Oh, that’s interesting about the tomatoes. Whereabouts did your Dad live? I read about the ignorance of tomatoes online and my mother, who grew up in London and so they bought everything from the shops, confirmed it. I don’t think they had space to grow anything. So maybe it was a regional thing? I liked “Midnight in Sicily” too, though I thought all the focus on crime gets a bit grim eventually. There were a couple of things I took issue with, too – Peter Robb has spent a lot of time in Naples and assumes the Sicilians are the same, when there are actually some major differences. He claims Sicilian men take no interest in caring for kids, for example, when in fact the opposite is the case: they are nurturing, almost obsessive fathers. He made some observations about the way Sicilian men cook, too, which just didn’t correspond with anything I’ve seen. So I think maybe he did that thing journalists sometimes do, of extrapolating about a whole nation based on observing an example of one!!!! It was my grandad who grew them, not my dad, and I was only about 4 when he died, so a very long time ago.I’m 68 now! He lived in St Helens ( Glass town! ) in industrial Lancashire and worked for Pilkington’s, probably the biggest glass manufacturers in the country and at the time, perhaps in the world.Many working class people grew their own veg on allotments or back gardens, but I’m sure you are right,our food was not very adventurous.Pasta unheard of. 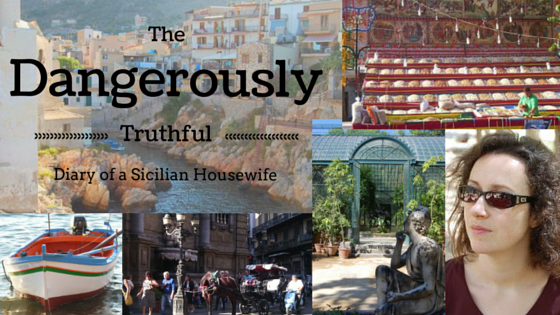 One of the fascinating things I did learn from the book is that there was a detective called Moltolbano in Sicily! My wife and I love the programme and as a result of it visited the area a couple of years ago.Had a wonderful time. There are large areas of allotments around the suburbs of London, so maybe some people in London did have them. I suppose it was a grow your own thing, so people only had them if they had a bit of ground to cultivate. We have the benefit of subtitles and I still lose the plot.That aside it’s odd how I insist being able to hear what they say, and listening to the Italian is part of the fun, that and seeing all that wonderful sunny weather. I definitely agree, hearing the original language creates the atmosphere and is more than half the pleasure. They dub everything in Italy and it spoils it for me. Oh, exciting to hear there’s a Guttuso exhibition in London!!! Thank you for telling me!